The liver has been an organ of mystery for centuries. Slowly but surely its secrets have been disclosed by both basic research and clinically oriented investigators whose current concepts have been brought together in this book by authors from five different countries. Three major groups with many subgroups have made inroads into our better understanding of the liver. 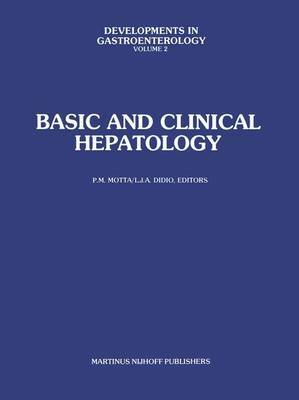 The first of these comprises the basic scientists whose study of single hepatocytes may provide the key to comprehension of mechanisms that will lead eventually to improvement in the morbidity and mortality associated with a variety of hepatic disorders. The second group has been concerned with studies in depth of the liver's response to a variety of hormones, drugs, viruses, and infections. Both early and late results are their concern in the diagnosis and treatment of the individual patient. A third group comprises the surgeons who have become increasingly aggressive in the removal of one or more segments of the liver. They have increased the scope of hepatic resection as a result of a better understanding gained from studies of various segments of the liver. They have accepted the term, segmentectomy, and have extended feasible procedures to include trisegmentectomy. Indeed, trans- plantation of the liver has been successfully accomplished.